Is anyone still looking for a centerpiece or place-setting idea? 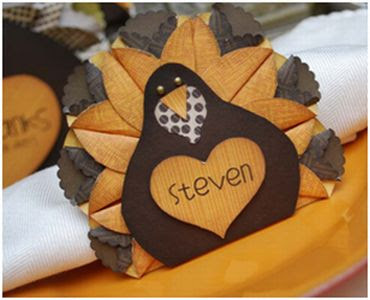 This idea from KSL Studio 5 is a perfect way to use a Moonrise paperpad for a festive Thanksgiving table-setting. The video explains how they did it. For more instructions, templates, and a supply list go here. Cute! Where is the template download? Those are about the prettiest turkeys I've ever seen.